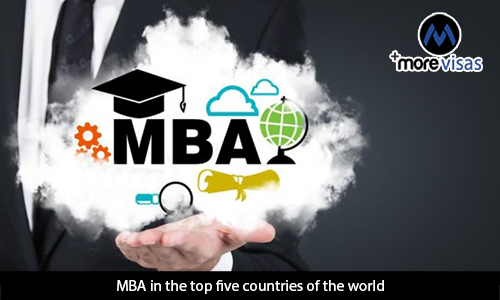 Masters in Business Administration (MBA), is the most conventional management program opted by students. If you want to pursue your higher education abroad, then the country you choose enables you to become a global talent. The University you pick for the study program will further help you grow professionally in the long run. The United States is home for a large chain of business schools; that offer quality education with practical training. A student pursuing MBA from universities in the US can benefit from a world-class infrastructure support and exposure driven internship programs. The international exposure in top companies during apprenticeship will create future entrepreneurs, as well as global leaders. You can expand your network and meet the right people in the Universities. The United Kingdom is a favorite destination for Indian Students wanting to pursue higher education. The management students feel the pride of studying in London - the global financial capital of the United Kingdom. The service industry and the banking sector, is robust and offers highly paid jobs to students after graduating from the business schools. Canada is home for the world’s most influential companies and a favorite education destination of Indian Students. Study programs which are well integrated with businesses, will give easy access to good jobs and the best part about it, is hassle-free migration policies for international students. Melbourne Business School, University of Melbourne. Business education in Singapore is affordable and it is a viable option for the students to study MBA in Singapore. The management programs in Singapore range between INR 15 lakh and INR 20 lakh. Students can work for 16 hours a week to support themselves in Singapore.